Photo: Henry Mosier As we celebrate and remember our veterans I will share the story of Henry Mosier. Henry saw service in the thickest of the fight in the closing months of the Civil War. In the spring of 1864, the 24th New York Cavalry joined the 9th Corps and fought under Grant in the wilderness where Grant flanked the enemy after three days battle. Then they met the enemy at Spotsylvania Court House in a three days battle; then marched and forded the North Ann River carrying their haversacks and cartridge boxes on their bayonets to keep them dry. Continued fighting and marching followed as the army made its way toward Richmond. They met the enemy at Cold Harbor where they crossed the James River and marched onto Petersburg where the regiment was engaged in a two days battle. Here five of its men were killed and twenty wounded. Among those who were killed was Matthew Ackley, Sandy Creek, brother to Jacob Ackley. Before Petersburg the Johnnies and the Yanks were separated about 25 yards, the Confederates being behind fortifications. These were mined and Henry Mosier was among those engaged in this work. The result was the successful blowing up of these fortifications. Here as elsewhere through life Henry Mosier did not hesitate to do his duty. Mr. Mosier was a man of sterling worth, one who not only believed in but put into practice the principles of the Golden Rule and many are there today who took back upon the life of this man with keen appreciation of the character that endeared him to all who knew him. We feel that this last visit that the Death Angel has made has touched very deeply the deepest sentiments of the entire community. Henry Mosier was born in the township of Sandy Creek December 24th, 1832. His father was Isaac Mosier and his mother, Armitta Wing Mosier. 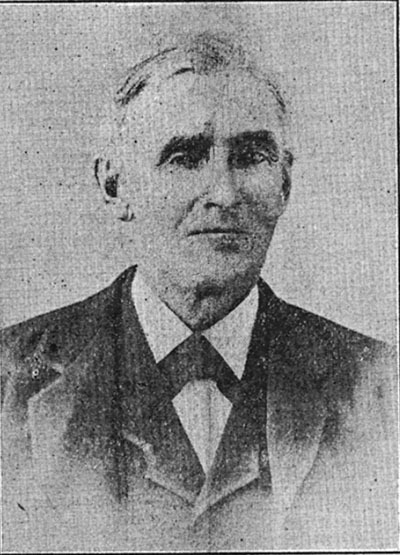 In 1861 Mr. Mosier married Martha Taylor and to them were born four children, three of whom are still living, Mrs. S. J. Chrisman of Ellisburg, Mrs. Fred Hessel of Woodville, N.Y. and George Mosier of Birnwood, Wisconsin. In December 1861 Mr. Mosier enlisted in the 24th New York Cavalry, Company G and during the last months of the Civil War he was in many of the important engagements. He fought at Spotsylvania, Wilderness, Cold Harbor, and in other engagements. He received his discharge July 19th, 1865. He was a member of the A.J. Barney Post of Sandy Creek. His first wife died, Mr. Mosier married Sarah E. Goodrich of Sandy Creek, November 4th, 1872. To them was born one son, Leon, of this place. As we look back upon his memory we can say that one of the most respected and beloved men of the town has gone and has left us richer for the life that he lived among us. He died at the age of 84 and is buried at Woodlawn Cemetery.